If you want to add some Latin flavor to your weekly night out, a few margaritas might be exactly what you need. Keep reading on to find out where you can get the best margaritas in Charlotte. Paco’s serves authentic Tex-Mex and has become one of the best Mexican restaurants in Charlotte. 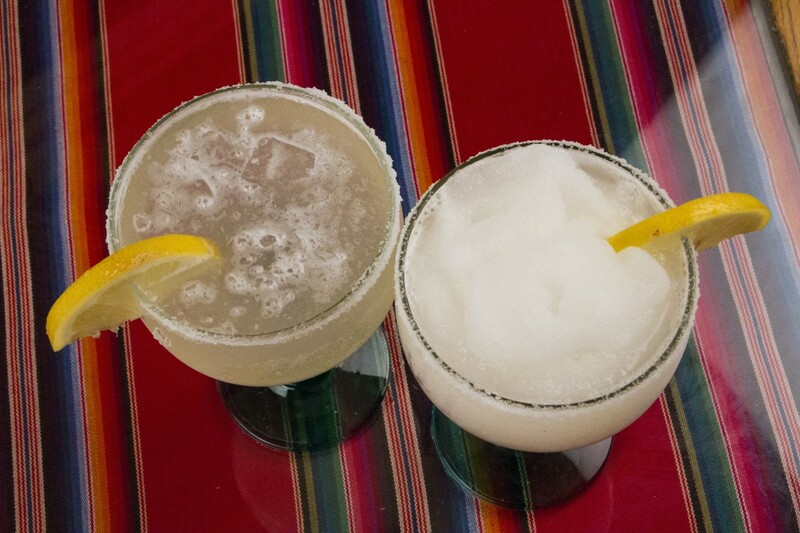 With over 100 different tequilas, it’s safe to say they also make amazing margaritas. Some of their most popular drinks include the Margarita with No Name and the Firestarter with jalapeño-infused tequila for a spicy twist on your drink. As a plus, the restaurant enjoys a private dining room you can book for any upcoming special events and social gatherings. Big margaritas at an affordable price? Count me in! Three Amigos is one of Charlotte's most popular place to grab this Mexican specialty thanks to their Friday $5 deals on fishbowl-sized margaritas. They offer a traditional take on the notorious drink with freshly cut limes that will make you reminisce about a coastal sunset with an ocean breeze. Bakersfield has over 100 varieties of tequila and American whiskey and has a vibrant atmosphere perfect for a fun night out with friends as well as tasty margaritas such as the Premium Margarita, Pineapple Margarita, and the Bakersfield Margarita. These famous cocktails also go well with a tray of their delicious assorted tacos. Arguably some of the best tacos in Charlotte, Ruru’s Tacos and Tequila uses only pure, organic ingredients on their dishes and provides handcrafted cocktails for their fun-loving customers. All they ask from you is to sit back and relax while enjoying a few drinks made from pure spirits and handpicked agave tequilas. Get a taste of their spicy jalapeño margarita aptly named the “You Talkin’ to Me," and you’ll start to understand why their cocktails are so legendary. This Charlotte restaurant has a wide selection of over 50 tequilas and mezcals for their many different cocktails. Visiting 1900 is also a great experience since they are constantly innovating and creating new recipes for their flavorful margaritas made from only top-quality ingredients. Also, if you decide to stop by 1900 Mexican Grill & Tequila Bar, be sure to try out their delicious chicken fajitas. Inspired by traditional dishes from different countries across Latin America, Sabor Latin Street Grill specializes in serving authentic dishes accompanied by delicious margaritas. Their three variations on the classic margarita are made from different tequilas such as Grand Marnier, Patron Silver, and their premium house tequila. Cabo Fish Taco is the perfect place to start off your night. Order from their grand selection of 13 margaritas including their original Purple Haze and more traditional flavors such as the Perfect Wave. Cabo Fish Taco in Charlotte gives you plenty of options to choose from and many reasons to visit! Experience one of Mexico’s most traditional drinks by trying out the best margaritas in Charlotte. The city’s multicultural population makes it a great place to try new things and meet new people from around the world. Let us know which of these bars and restaurants is your favorite by commenting below, and don’t forget to register on 704area for the best restaurants in Charlotte and all things Charlotte.